Bringing people together to find solutions; this was the goal of the Intermountain Sustainability Summit at Weber State, according to summit coordinator and general sustainability coordinator Emily Mead. Hosted by the Weber State Utah Recycling Alliance, the sixth annual Summit brought together a wide range of environmental professionals last week to discuss one topic: sustainability. “The Summit is unique because it really brings together a lot of different minds to solve some of our biggest environmental challenges,” said Mead, who said this year’s summit was a huge success. Taking over the third floor of the Shepherd Union building, the Summit welcomed nearly 370 attendees to the two-day event on March 5-6. The first day featured conferences and lectures while the second day introduced various workshops. According to WSU sustainability specialist Jennifer Bodine, the summit was a great opportunity for students to network with environmental experts and like-minded people. Kicking off the first day of the Summit, plenary speaker P. Wesley Schultz opened with a new angle on sustainability by addressing environmentally-friendly behaviors and attitude changes. Along with his speech were workshops called “Social Marketing” which discussed sustainability behaviors through social media, according to Mead. “This topic was really something we’ve never covered before and it was something that people were interested in. It was definitely a highlight for the event,” Mead said. Afterwards, the 2015 keynote speaker David W. Orr talked about the Oberlin project, which is a partnership between the city and Oberlin College to become the first climate-positive community in the United States. Bodine thought Orr’s lecture addressed the importance of the planet’s sustainable future. After the lectures, the conference split into breakout sessions which divided the crowd into four different tracks: sustainability, energy, waste and agriculture. According to Bodine, the track conferences were geared to be more technical to ensure attendants got practical, “on-the-ground” information about sustainability. Throughout the conferences and workshops, the crowd was also treated to various exhibitions to learn about the latest sustainability innovations. From the Utah Department of Environmental Quality to the Ogden Nature Center, nearly 50 booths showcased research from non-profits, businesses and government-agencies. Students were also welcome to participate in the Summit poster session, a competition where students presented their own undergraduate research. Mark Stevenson, the MBA enrollment director who helped sponsor the event, said the Summit is especially unique because of the broad range of organizations that come to collaborate on the issue of sustainability. Evolving into a regional event, Mead said the Summit all started with one Weber State student who wanted to bring more awareness to environmental sustainability. 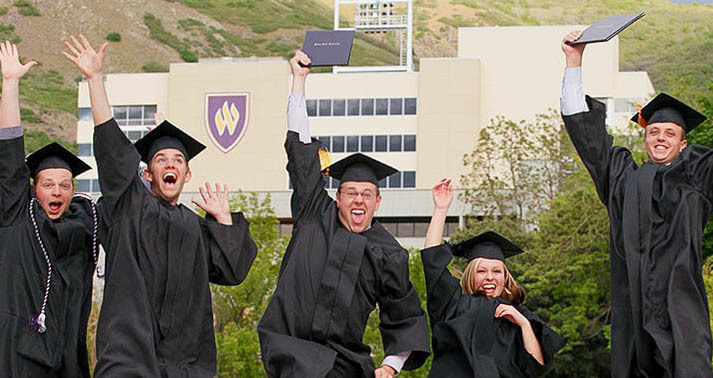 Now after six years at Weber State, the Summit has grown from its humble roots and is showing no signs of slowing down. According to Mead, they are already planning for next year. She believes environmental sustainability is something everyone should be concerned about.